The smell of burnt wood and sweet perfume from the churches fills the air as people busy themselves for another day. 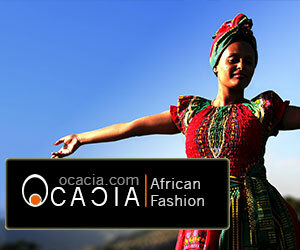 The light rises as birds hover the city and one of Africa most populous nations forges its way into a brand new future. Of all Africa’s treasures Ethiopia (ኢትዮጵያ) is one of the brightest. From its rich history to its stunning culture, Ethiopia is truly beyond argument one of Africa’s most precious gems. The only words that describe Ethiopia accurately is to say Ethiopia is very “Ethiopian” because comparisons fall away—as there are none. We can approach this land from culture, language, script, oral history, sociology and come up with a gem. Every part of Africa offers something but all thing precious seem wrapped in this land. You can see it in the sky, in the trees, in the soil and in the faces of the people. This place has fought invasion, colonization, poverty, puppet leaders working for Western hegemony, to stand as one of the longest continuous nations. But all great nations are only great because of how they resolve their challenges. The first unique aspect of Ethiopia is from antiquity to now Ethiopia has belonged to Ethiopians, this has never been broken, though often challenged, by all the major powers of the time; from the Turks to the Egyptians, from the British to the Italians, all have cast their covetous eye on this jewel. The businesses from small to large are Ethiopian; the banks the hotels are Ethiopian owned. The pain and the glory is Ethiopian; for better or for worst. Ethiopia has the world’s lowest points below sea level. The largest cave in Africa is located in Ethiopia at Sof Omar. Home to the most diverse African ethnic groups; Mursi, Hamer, Surman, etc. 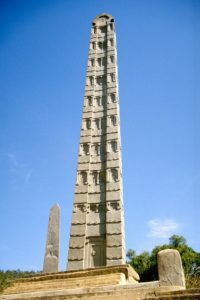 Ethiopia has retained a rich cultural heritage. And despite the notion of being a Christian Kingdom, Ethiopia has more Muslim citizens than all of Somalia. 40-45% of Ethiopia is Islamic. And the deep relationship between Christianity and Islam makes this land unique. We read by some scholars that Ethiopia “escaped” colonialism; “escaped,” like how a cat gets out of a bag? No, Ethiopia did not “escape” colonialism, it faced it on the battlefields and crushed European designs on its sovereignty. But although Ethiopia never colonized but the power of the Nile which could feed millions and create rich farm lands to export and feed people all over Africa were obstructed by the Western powers. 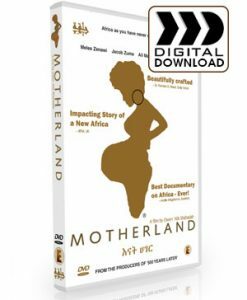 Ethiopia is deliberately and maliciously landlocked. Who divided Africa so that Ethiopia was landlocked unable to be a seafaring nation, always dependent on colonially controlled nations for its sea trade? All of these factors contribute to some of the issues facing Ethiopia which all have historical connections. 90% of the Nile, which allowed the mighty Egyptian Nation comes from the Blue Nile in Ethiopia. Lake Tana is its source. But due to the British colonial policy Egypt takes a lion share of the development potential of this resources. As a result Modern Egypt and its expanding population utilizes the Nile but threaten war if Ethiopia tries to use its own water to enhance Ethiopia. If Ethiopia utilizes the Nile it would end the horrors of poverty and transform Ethiopia economically into a fertile land. Unfortunately this would decrease Egypt flow by 50% with serious consequences for its population. Only compromises can solve this crisis. But no more can Ethiopians suffer with this rich resources unopened. We remember the Egyptians as one of the most significant African civilization (and world). We remember Timbuktu we remember Ancient Ghana and Sokoto. Egypt or Kemet left a legacy which forged the modern world, its advances where the birth of all that we marvel in when we walk the streets of New York or Rome. The legacy to humanity is inarguable, but Ethiopia too left a legacy with the rise of the mighty Aksum ite empires which cast their reign as far as Arabia. But all that remains of Ancient Egypt, stone tombs which sleep out the centuries, lips sealed of those who forged their mighty walls. 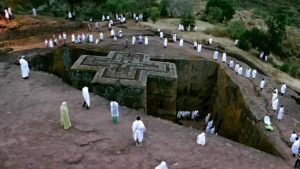 But for Ethiopia those Aksum ite people who cast the stones and carved Lalibela are still in control of their land, the language and the culture is not confined to the history books but is lived everyday on the streets of Addis Ababa and Asmara (Eritrea). The script of the Ancient Egyptians has lost its use in the world of today but Ge’ez (ግዕዝ)is a living script which is used across modern Ethiopia. This is the legacy which makes this land unique in the world, especially for Africa which has been the victim of the largest carving up in the history of humanity. Meles Zenawi was an oppressive puppet of Western imperialism, yet his obituary read out like that of a glorious king. He was called a visionary, a model for all of Africa to follow, a true friend of Zionist Israel, an inspirational spokesman for Africa. 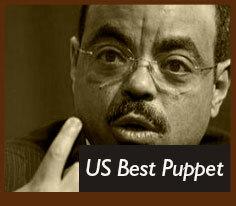 Meles was instr umental in giving support for everything the West wanted to do in Africa. Drones, Somalia invasion, Africom, Gulf War support, support for Israel. Of course the Western papers would call him a “great man”, great for them but not for Africa. His atrocities and brutal practice, “killing his own people,’ seemingly expunged from his record and the memory of Africa. Some are so blinded they think an uncritical approach to their leaders is some sort of patriotism, some way of expressing national pride—it is not. Not to challenge the policies of leadership is to engage in passive tyranny. 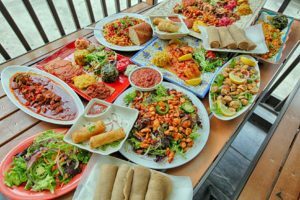 Similarly, pork is prohibited, though unlike Rabbinical Kashrut, Ethiopian cuisine does mix dairy products with meat. Women are prohibited from entering the church during menses; they are also expected to cover their hair with a large scarf (or shash) while in church, per 1 Cor. 11. As with Orthodox synagogues, men and women are seated separately in the Ethiopian church, with men on the left and women on the right (when facing the altar). (Women covering their heads and separation of the sexes in church houses officially is common to some Oriental Orthodox, Eastern Orthodox and Catholic Christians, as well as many conservative Protestant and Anabaptist traditions; it also is the rule in some non-Christian religions, Islam and Orthodox Judaism among them.) Ethiopian Orthodox worshipers remove their shoes when entering a church, in accordance with Exodus 3:5 (in which Moses, while viewing the burning bush, is commanded to remove his shoes while standing on holy ground). Furthermore, both the Sabbath (Saturday), and the Lord’s Day (Sunday) are observed as holy, although more emphasis, because of the Resurrection of Christ, is laid upon Sunday. The records on Ethiopian history begin with the pre-“ite (አክሱም) empire, which started around 1500 B.C. This civilization shows signs of a marriage between Southern Arabia and Eastern Africa. And it is at the beginning of Ethiopian history that the most fundamental mistake is made by European scholars. European academia has become so locked in a boundary driven mentality that they view these ancient times in the context of an “Africa” and a “Arabia.” However, there was no Africa and Arabia 3500 years ago. And to see these two nations as racially separate is baseless and a projection of a modern world view of race and geography. 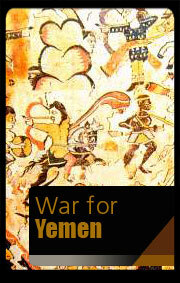 The people who originally populated Southern Arabia arrived there from East Africa. East Africa is a mere 22 km from Arabia, and traveling by a sea vessel would have made this trip a regular breeze. Today the “out of Africa” theory proves that “modern” humans migrated via the Southern Arabian route, up into Central Asia. Since this migration was, a continuous human undertaking highlights the facts that native African people were freely traveling, at least, back and forth between modern-day Arabia and perhaps the rest of the world. The Sabian culture is thus an African civilization, and historical artifacts located in Southern Arabia do not implicate a non-African origin in anyway shape or form. Later migrating Arabs moved southward into Southern Arabia and changed the racial profile of this area. The argument here is that the forebears of the Afro-Asiatic Ethiopian culture is uniquely African and not; influenced, a child of Arabia, or a “half Arab” society. Clearly, the legacy of Europeans downsizing and obscuring African history is not lost here. And just as the Ancient Egyptians have been labeled as a Mediterranean people who came out-of-the-blue and settled in Africa. There is a similar attempt here to diminish Ethiopian African history. In 1896, Ethiopia fought a desperate battle against a stronger European nation attempting to invade, conquer, and colonize the smaller nation and more importantly, be able to exploit its natural resources. After a long siege in the mountains betweens Ethiopia and the bordering nation of Eritrea, a series of brutal battles were fought between the army of King Menelik II of Ethiopia and the Italian Army under the command of the Italian governor of Eritrea, General Oreste Baratieri.The Abyssinia nation defend her sovereignty against the aggression of European attempts to colonize the only African nation to defends its sovereignty. The mistrust between the two nations had begun 7 years before during the signing of the Treaty of Wichale (or Uccialli) agreed to in principle in May of 1889. Menelik II agreed to provide to Italy land in the Tigray province in exchange for support in the form of weapons the Italians had been supplying him for some time. The Italians wanted more. There were two versions of the treaty to be signed, one in Italian, and one written in Amharic. Unbeknownst to the conquering King was the fact that the version in Italian had been altered by the translators to give Rome more power over Menelik II and his kingdom of Ethiopia. The Italians believed they had tricked Menelik II into giving his allegiance to Rome in the treaty. Mistakenly, they believed him to be unsophisticated in the way the Europeans believed themselves to be. To the Italians surprise, the treaty was rejected despite their attempt to influence the king with 2 million round of ammunition. He would have none of it and denounced them as liars who had attempted to cheat himself and Ethiopia. When bribery failed Italy did what so many nations have tried throughout history. They attempted to set up Ras Mangasha of Tigray as rival by promising to support him with money and weapons, and hoped he would overthrow Menelik II who had denounced Italy. When that failed, the Italians turned to Baratieri, who had shown some promise in his handling of government affairs in Eritrea. Baratieri was no stranger to battle and devised a good strategy to lure the Ethiopians into an ambush. There were three main problems with his strategy. First, he had drastically underestimated the strength and will of the army facing him. Although aware he was outnumbered, the Governor of Eritrea believed the Ethiopians to be undisciplined and unskilled at the art of war negating the advantage in numbers. Certain he would have an advantage over the ‘savages’, he dug in his 20,000 troops and 56 guns at Adawa awaiting the King and his men. In the meantime, Menelik II had trapped a thousand or so of the Italian army and besieged them. He agreed to allow them safe passage if Italy would reopen negotiations with him concerning a peace treaty. The Italian government refused and in fact did the opposite, authorizing more dollars to pursue the war in Ethiopia. Their Nations’ pride had been hurt by the African King and they sought to restore their ego and influence. The second error Baratieri made was the assumption he could lure the Ethiopians out into an ambush. He did not think they had the tactics or knowledge of battle he possessed as an important leader in a civilized European nation. After a 3 month standoff his troops were out of basic supplies and he had to move forward or retreat. After a message came from higher up in the government calling him out as ineffective and unsure, he was pushed ahead to attack. Baratieri’s third mistake of not understanding how poor his battle intelligence was became the most costly of his errors. The strategy he employed was to outflank the Ethiopian army under the cover of darkness and move in on them from the mountains above their camp. While Sun Tzu would have approved, the Italian commander did not account for the extremely harsh terrain nor the lack of direction and difficulty in communicating with his men would have out in the wild country. After setting out confident in their battle strategy, the officers in charge of implementing the attack learned how poor the rough sketches they had were. It was dark and cold in a high mountain pass in February and it was doomed. Divisions of Italian soldiers became confused, lost, and disorganized. Through the confusion a two mile gap in their battle line was opened and the Ethiopians rushed in cutting the Italian attack in two. Baratieri had failed to claim the high ground and Menelik IIhastily moved his artillery in above the attacking soldiers. Able to lob shells down upon the invaders, the Ethiopians raced to seize the advantage but the Italians held their ground and at mid morning it looked as if they may be able to win in spite of all the difficulty they had encountered. Considering retreat, Menelik II was persuaded by his advisors to commit to the battle an additional 25,000 soldiers he had been holding in reserve. Those additional troops proved to be the difference in the outcome of the ferocious melee. Having fought hundreds of battles to protect their homeland, Menelik’s warriors attacked with a ferocity the Italians couldn’t have imagined. Taking hardly any prisoners, the victors of Battle of Adwa killed 289 Italian officers, 2,918 European soldiers and about 2,000 askari. A further 954 European troops were missing, while 470 Italians and 958 askari were wounded. Some 700 Italians and 1,800 askari fell into the hands of the Ethiopian troops. With the victory at the Battle of Adwa in hand and the Italian colonial army destroyed, Eritrea was King Menelik’s for the taking but no order to occupy was given. It seems that Menelik II was wiser than the Europeans had given him credit for. Realizing they would bring all their force to bear on his country if he attacked, he instead sought to restore the peace that had been broken by the Italians and their treaty manipulation seven years before. In signing the treaty, Menelik II again proved his adeptness at politics as he promised each nation something for what they gave and made sure each would benefit his country and not a rival nation. local Arab leader was able to resist the attack, and appealed to the Sassanians for aid, while the Ethiopians subsequently turned towards the Byzantines for help. The Ethiopians sent another force across the Red Sea and this time successfully killed the Arab leader and replaced him with an Ethiopian man to be king of the region. [Frye Ancient Iran] In 531, Justinian suggested that the Ethiopians of Yemen should cut out the Persians from Indian trade by maritime trade with the Indians. The Ethiopians never met this request because an Ethiopian general named Abraha took control of the Yemenite throne and created an independent nation. After Abraha’s death one of his sons, Ma’d-Karib, went into exile while his half-brother took the throne. After being denied by Justinian, Ma’d-Karib sought help from Khosrau, who sent a small fleet and army under commander Vahriz to depose the current king of Yemen. After capturing the capital city San’a’l, Ma’d-Karib’s son, Saif, was put on the throne. Justinian was ultimately responsible for Sassanian maritime presence in Yemen. By not providing the Yemenite Arabs support, Khosrau was able to help Ma’d-Karib and subsequently established Yemen as a principality of the Sassanian Empire. The textbooks claim that the origins of Ge’ez (ግዕዝ) script are the product of some mysterious Arabs who visited East Africa: Disconnecting the forging of an indigenous script and civilization from African hands, and once again removing all forms of agency from Africa. The genetic trail shows that Arabs are descendants of Africans who left Africa some 45,000 years ago. Only Arab and African people share the M89 and M172 genetic markers. It is clear that populations would have existed and re-entered Africa up until and including the modern era. To believe that these people immediately after entering a place now know, as the Middle East became Arabs is absolutely un-academic. From the perspective of the people living in this land they wouldn’t have viewed themselves in these rigid terms. And to articulate history on a limited racial premises is political and distorted. Until the 1970s, Afaan Oromo was written with either the Ge’ez script or the Latin alphabet Then during the early 1970s, the Oromo Liberation Front (OLF) chose the Latin alphabet as the official alphabet to write Afaan Oromo. Between 1974 and 1991 under the Mengistu regime the writing of Afaan Oromo in any script was forbidden, though limited usage of the Ge’ez script was allowed. On 3rd November 1991 the OLF convened a meeting of over 1,000 Oromo intellectuals to decide which alphabet to use to write Afaan Ormo. After a many hours of debate, they decided unanimously to adopt the Latin alphabet. Unfortunately many Ormo have stopped using the indigenous African Ge’ez script after 1991 and began formally writing Oromoia in a Latin format called called Qubee. Words are subsequently excessively long to accommodate for the inadequacies of Latin. It is speculated that the motivation for the change was to create a distinctive cultural identify from the “Semitic” groups who have historically suppressed their culture. How a European script could be used over a related African script speaks to the dangers of so-called liberation when those liberating forces are ignorant of the broader issues. 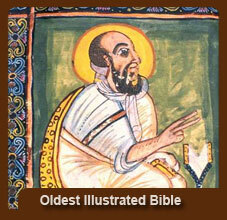 The Tewahedo Church Canon contains 81 books. This canon contains the books accepted by other Orthodox Christians. The Narrower Canon also contains Enoch, Jubilees, and I II III Meqabyan. These last differ substantially from the Greek I, II, III Maccabees, and the canonical Enoch differs from the editions of the Ge’ez manuscripts in the British Museum. World’s first illustrated Christian bible was recently discovered at Ethiopian monastery The world’s earliest illustrated Christian book has been saved by a British charity which located it at a remote Ethiopian monastery. The incredible Garima Gospels are named after a monk who arrived in the African country in the fifth century and is said to have copied them out in just one day. Beautifully illustrated, the colours are still vivid and thanks to the Ethiopian Heritage Fund have been conserved. 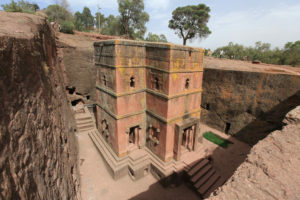 The incredible relic has been kept ever since in the Garima Monastery near Adwa in the north of the country, which is in the Tigray region at 7,000 feet. Experts believe it is also the earliest example of book binding still attached to the original pages. It was written on goat skin in Ge’ez. There are two volumes which date from the same time, but the second is written in a different hand from the first. Both contain illustrations and the four Gospels. Carbon dating, however, gives a date between 330 and 650 – which overlaps the date Abba Garima arrived in the country. Negash is a village in the Tigray Region (or kilil) of Ethiopia, which straddles the Adigrat-Mekele road 10 kilometers north of Wukro. Negash is known as the earliest Muslim settlement in Africa; a seventh century cemetery has been excavated inside the village boundaries. The Futuh al-Habasha records Ahmad ibn Ibrihim al-Ghazi visited the tomb of Ashama ibn Abjar in Negash during his invasion of the province of Tigray (around 1537). Negash is also known for the Negash Amedin Mesgid mosque. Harar and Dire Dawa. Are two other important places for Islamic Ethiopian heritage. Harar is famed for their stone walls which protected the Muslim inhabitants. For centuries the city was closed to non-Muslims. Many outside of Israel are actually unaware of how many Africans (mainly Ethiopians) live as oppressed second class Israeli citizens. Operation Solomon and subsequent so-called “rescues from persecution” was the solution to a labor shortage in Israel. What Isr ael needed was cheap uneducated Black bodies to serve as cannon fodder for against the Palestine, to clean the streets of Tel Aviv, and to make up the “slave” lower-class social sector. This labor pool still lives at the bottom of every social economic indicator, victims of terrible racism that rarely makes headline news, or even has advocacy groups to speak on their behalf. They are often bared from prestigious schools who blatantly advertise “No Blacks here.” The plight of the Ethiopian Jew is identical to the African-American in the 60’s, and the consequences are identical, drugs, suicide rates (Ethiopians have the highest suicide rates in Israel), cultural displacement, lost of identity, inferiority complex, delinquency, crime, prostitution, etc. 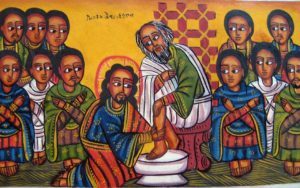 The divine services of the Ethiopian Church are celebrated in the Ge’ez language, which has been the language of the Church at least since the arrival of the Nine Saints (Abba Pantelewon, Abba Gerima (Isaac, or Yeshaq), Abba Aftse, Abba Guba, Abba Alef, Abba Yem’ata, Abba Liqanos, and Abba Sehma), who fled persecution by the Byzantine Emperor after the Council of Chalcedon. The Septuagint Greek version was originally translated into Ge’ez, but later revisions show clear evidence of the use of Hebrew, Syriac, and Arabic sources. The first translation into a modern vernacular was done in the 19th century by a man who is usually known as Abu Rumi. Later, Haile Selassie sponsored Amharic translations of the Ge’ez Scriptures during his reign, one before World War II and one afterwards. Sermons today are usually delivered in the local language. A study of the globe will bring one strange question, who was cutting Africa. Its like a bad dress stitched inside-out. We have Gambia which is nothing more than a British river bank inside of French speaking Senegal. We have countries with strange shapes hugging resources neglecting people. All kinds of forced amalgamations and experiments in social chaos. And We have Ethiopia completely and deliberately cut of from that precious of resources—The sea. How did this happen? What African mind could fashion this nonsensical map. Eritrea’s shape seems only to deny Ethiopia access to any sea port, then next is Djibouti and then Somalia all designed for one purpose—denial of port access. Now it wouldn’t have taken much to allow a 1km strip to grant Ethiopia a port of her own. But this would then destabilize the carvers plans. And their primary plan is control through dependence and chaos. The chaos comes from the warring African nations over the very land that was once shared. The Rwanda crisis, the Darfur crisis. It is all the same. And at the heart of it the European. By controlling port access the foreign powers by controlling Ethiopia’s neighbors have permanently created a situation which favors their economic and political control. Transport costs in Africa are among the highest in the world so imagine the adverse effect of any form of heavy mobility In many countries, political instability also acts as a significant non-tariff trade barrier (re Eritrea and Ethiopia) or Somalia and Ethiopia. But at the end of the long blame stick it is the Africans who end up buying and pointing the guns at each other. If people can think for themselves and see through the grander plan then the endeavors of Europe are useless. The designs of Europe work and have work, and will continue to work as long as Africans and others believe Europe first before their own African brothers and sisters. Europe is a global power because they have united, despite their many wars they have never as a collective done any action which resulted in their collective political or economic regression. The so-called “World Wars” only meant it shake-up and a shift in internal power: A family quarrel. The World Wars didn’t see India become the new world power—no. The power remained European and the “white World” as a whole went forward into more technological advancement. Even the destroyed Germany was able to start again and become an industrial giant. So when the final card was played, amidst the pointless destruction European World aka the West didn’t regress. However the war with Somalia in the 60’s the war with Eritrea has brought to absolutely nothing to these nations. Fighting over a dry desert—for what purpose? If Africans refuse to see the pointless absolutely wasteful fruits of “internal” war then they deserve to be at the bottom of the food chain because you have to pull the trigger on the gun (even if the European put it in your hand) when you kill your neighbour and blame can only go so far. In the dawn of the 16th century Ethiopia was plagued by some of the most bloody religious fighting in the width and breathe of its history. Rarely in Ethiopia’s history has religion factored in such violence. Today Ethiopia is the boast of the world for a shinning example of Islam-Christian coexistence. The fruit of this were the almost erasure of culture on both sides. From as early on as the 13th century the Muslim-Christian relationship was showing signs of strain, not for religious reasons but due to the competition for Muslim controlled trade routes. However, in the 1490’s the emergence of a new charismatic Islamic leader by the name of Mahfuz established himself in Zeila (modern day Somalia). He declared a Jihad against Christian Ethiopia and made numerous raids into the highlands of Shoa until he was halted by Emperor Lebna Dengel. However more hostile Islamic leaders were on their way in the form of Ahmed Gragn the Left Handed, or Ahmed Ibn Ibrahim Al Ghazi. He deposed the sultan of Harar and pledged to carry on the Jihadist campaign of Mahfuz. Well supplied by Ottoman allies he was able to conquer most of Eastern and Southern Ethiopia by 1532. Lebna Dengel responded by calling on the Portuguese stationed in Massawa. The forces meet near Lake Tana and the Portuguese general, who was son of Vasco da Gama, left the battle without his head. The Muslim army was victorious. It was not until a new Ethiopian emperor, Galawdewos, took the thrown in 1543 that the Muslim army was dispatched. In the glory of victory Galawdewos decided to capture the Muslim strong-hold of Harar but his plan failed and he lost his life in the process. The war were costly thousands of people lost their lives Christian monarchy was nearly extinguished and the once might Islamic state of Adal was in ruin. Manuscripts, art, religious buildings on both sides lay in ruin. It is mid August and the rains have come again and the land seems to rejoice with joy. To a country that has come to be the “poster” of famine, Ethiopia knows the true meaning of rain. Discrete offerings are made to Gihon (ጊሆን), the river goddess, in years of hardship this river spirit is begged by worshipers pouring offerings of libation into the thirsty river. The Gihon (ጊሆን) is another name for the Blue Nile River of Ethiopia. One of these is the River Gihon, which is the river that encircles Cush (sometimes in the bible Cush and Ethiopia are used interchangeably). 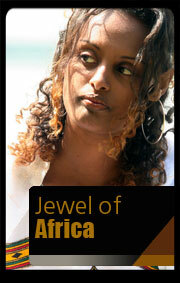 All over the world Ethiopia is known for having some of the most strikingly handsome people . And among these beautiful people lies a rainbow of features, shades, and textures. Most numerous of Ethiopia’s ethnic groups are the Oromo, but it would be more accurate in realistic terms to say that the Amhara number almost the same as the Oromo. To Say the Oromo are the largest ethnic group conjures up images of a 70:30 relationship, when the difference is only 2%. The Oromo originally migrated to Ethiopia from modern-day Kenya. They are religiously split between Islam and Christian; a small minority cling to indigenous religious beliefs and have a scared tree called Oda and who resides on Lake Hora, Debre Zewit. Eraicha Festival on October 1st worship the “One God” Waaqa. The Amhara dominant cultural ethnic group and historical the Governors and leaders of this ‘land. They like the Gurage and Tigrinya people belong to the “Semitic” group of people (Abasha) because linguistically they speak Amharinya which is part of the Semitic tree of the Afro-Asiatic linguistic family (Hausa, Hebrew, Arabic). Their land is north of Addis Ababa and the men characteristically wear short pants a long shawl and the distinctive dula(stick) wedged between their shoulders and arms. In the East are the notorious Afar who gained a deadly reputation for killing foreigners on sight to collect the much prized male genitalia. European fear brought them much attention just like the Zulus of South Africa, the Tuareg of the Sahara belt, and the Masai of Kenya-Tanzania. 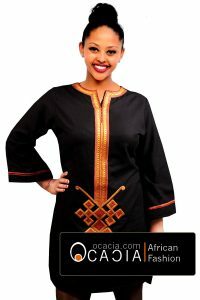 Also in the East are the Muslim Harar people whose women are known in Ethiopia for their beauty. They like the Afar probably make up the oldest Islamic ethnic groups in Africa (speculation based on the dispersal of the Islamic faith) Historical the greatest conflict has been between the Oromo people and the native Ethiopians, although the Ormo were conquered and “Abasafied” their remains an air of resentment towards the Amhara ruling class. And act of this slight distain can been seen by the Oromo’s abandonment of Ge’ez as a script and the ridiculous adoption of Latin. (more later). Every day in the early hours of the morning, the farmers of the Oromia region head out to the coffee plantations in the Ethiopian highlands for a day’s work. Often walking barefoot for miles to arrive, the farmers use their bare hands to pick the coffee beans off of steep mountains in high altitudes and the blazing sun. For these farmers and their families, coffee farming is the only means to earn a living in one of the poorest countries in the world. They earn less than a dollar a day. Halfway across the world, sleepy office workers line up at the Starbucks on 14th St. in New York City, ready to pay three dollars for their first jolt of caffeine. Starbucks, with over 11,000 stores worldwide and annual earnings of over $7 billion, receives much of its coffees from countries like Ethiopia. Since its founding in 1985, the company has promoted fair trade as part of its corporate image. 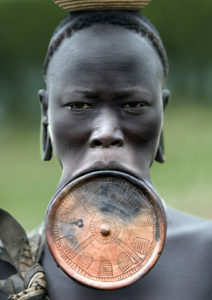 Starbucks has courted its politically correct customers with “Fair Trade” Ethiopian coffee in lovely cut out packaging. But the relationship between the corporation and the farmers is more complicated than it appears. Recently, there has been a growing controversy over whether or not Ethiopian farmers and the Ethiopian economy are receiving fair treatment from the multinational corporation. This debate has sparked a fervent campaign by fair trade organizations, workers’ unions, and the Ethiopian government, who are publicly challenging the ethics of the company. Starbucks maintains that it enjoys a positive relationship with coffee farmers. With their “commitment to social responsibility”, Starbucks developed an integrated approach to coffee sourcing with C.A.F.E. (Coffee and Farmer Equity Practices), a set of socially responsible coffee-buying guidelines. This sustainable strategy is said to improve working conditions for farmers, helping them earn more while protecting the environment. Starbuck commits itself to paying premium prices for all of its coffee and attempts to purchase coffee that is certified as Fair Trade Coffee. “Starbucks global purchases of Fair Trade Certified coffee totaled 11.5 million pounds in fiscal 2005, making it the largest purchaser of Fair Trade Certified coffee in North America” the company stated in a brochure. “In addition to paying premium prices for all of our coffees, our investment in social development projects and providing access to affordable loans in coffee growing regions has been recognized for its leadership within the industry,” Starbucks said in a press release statement in October 2006. However, Ethiopian farmers believe they are receiving the short end of the stick in this relationship. While Starbucks continues to generate billions of dollars each year, Ethiopian farmers and their supporters believe that Starbucks does not wish to see them or their country, reap comparable profits. Oxfam International, a British human rights organization, claims that Starbucks tried to block the Ethiopian governments’ attempt to trademark the names of coffees grown in its Harar, Yirgacheffe, and Sidamo regions, denying the impoverished country possible revenues of up to $80 million. The U.S. National Coffee Association (NCA) attempted to block trademark efforts, and Oxfam accused Starbucks of being behind these efforts. Although Starbucks denies this claim, Oxfam spokeswoman Jo Leadbetter says there is validity in their claim. “We have heard from a number of sources that actually Starbucks was involved in alerting the U.S. coffee association to block these applications and that it ‘stinks of corporate bullying,’” Leadbetter said. According to Oxfam, for every cup of coffee sold at Starbucks, farmers in Ethiopia only early about $.03, receiving a very small portion of the profits that their coffee generates from consumers. “Ethiopian coffee farmers often collect about 10 percent of the profits from these coffees. The rest goes to the coffee industry players that can control the retail price, the international importers, distributors— and roasters like Starbucks,” Oxfam stated on its Make Trade Fair website. In response, OXFAM has launched a fair trade campaign to support farmers like the ones in the Ethiopian highlands. “Starbucks has engaged in some positive initial steps in helping coffee farmers living in poverty. I don’t understand why they won’t take the next step and come to the table to discuss Ethiopia’s proposal in good faith,” stated Seth Petchers, Oxfam America’s coffee program manager. Ethiopia, known as the birthplace of Arabica coffee from its Kaffe region, depends on the production of coffee for its economy. Coffee production is so important to the agriculture-based Ethiopian economy that 50-60% of its export trade comes from coffee income. The industry employs one out of every four people. An estimated 15 million coffee farmers and their families depend on coffee for their survival. Coffee is also a central element of Ethiopian culture, with traditions that date back to the 10th century, when the first tree was domesticated in the south-western highlands of the country. Coffee is so important to the daily routine of life in Ethiopia that “coffee ceremonies” happen daily throughout the country. A third of the national production is consumed domestically. 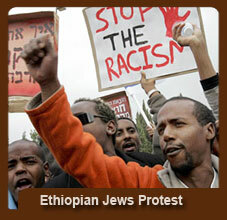 This article is a compilation of various articles on the African Holocaust Website with Ethiopian themes.